Termites from a piece of timber laying on the soil. Kitale, Kenya, January 2014. 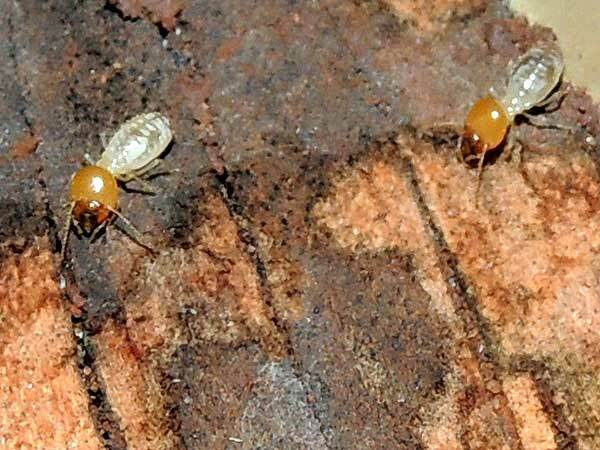 These termites were found feeding on wood that had been in direct contact with soil. The nozzle-shaped heads can eject a defensive chemical which is stored in quantity inside the bulbous head. For ants or other predators attempting to enter the termite mound/nest, this is a very effective repellant.